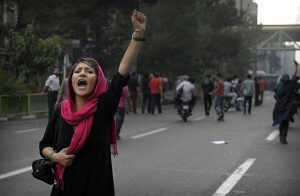 I have no detailed knowledge of what’s happening in Iran. 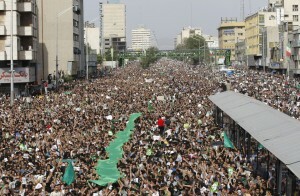 However it seems fairly clear that the people of Tehran want their freedom and are pushing back hard at the regime. The fact that Mousavi is himself just as about reactionary as Ahmadinejad seems to be of little importance right now. The people are on the move. With a Shia-based democracy taking root right next door in Iraq, I think the mullahs will be feeling really worried. This may not be “it” for them, I’m sure there will be many twists and turns, but their days are clearly numbered.